In need of a new flat iron for pressing your kids’ uniforms this school year? Or perhaps, you’re considering getting a new blender, coffeemaker or toaster to make breakfast prep fast and easy? Now is the BEST TIME to get them ’cause Electrolux is holding a BIG SALE today until Friday! 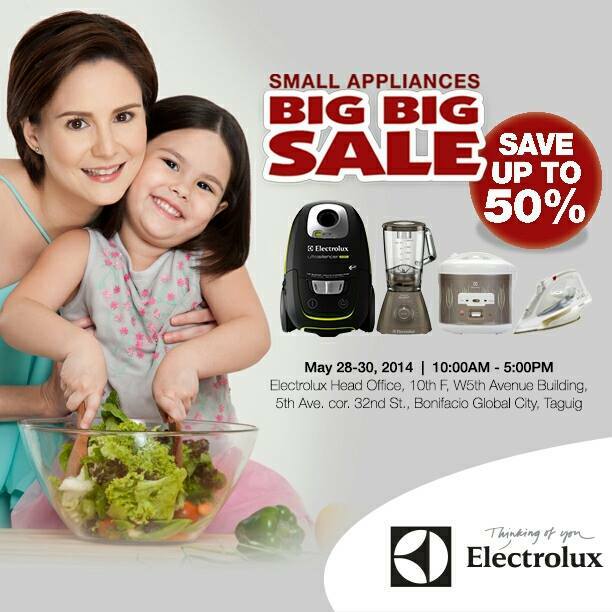 Get 50% off Electrolux small appliances from May 28 to 30! The big sale’s happening only at the Electrolux Head Office in Bonifacio Global City so head on over now to grab the best items. Check out the poster below for more details. You Have Won an Electrolux Laundry Set! 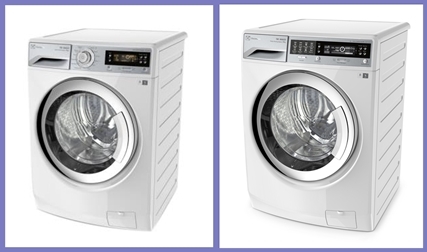 Thank you to all those who sent their entries for the Electrolux Wash Loads of Love Giveaway! I enjoyed reading all your “laundry stories”. I really do wish I had a magic wand and give all of you an Electrolux Time Manager with a mere bibbidi-bobbidi-boo. A blessed day to all! Thanks for I happened to knew about your informative FB page from a friend. 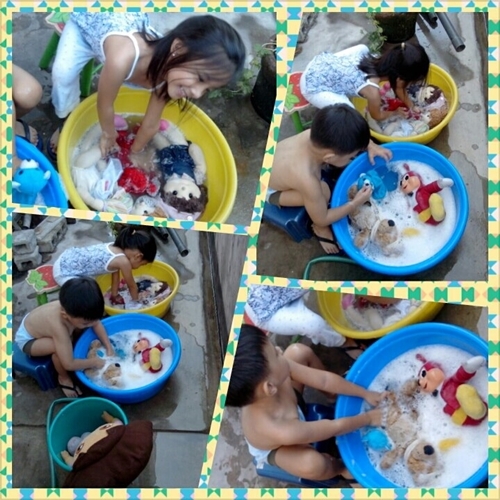 I am a 36 year old plain housewife, a mother of two and currently suffering from a burden of washing clothes manually, that’s why I exactly knew how hard it is to wash tons of dirty laundry from morning till its almost night time (By the way, I do the washing once or twice a week) because I can’t focus on it continually for I’ve got so many things to take care of being the sole individual who will look after the house works. Its really a pain in the neck doing all our laundry every now and then. Currently, i’m on the process of saving for a new washing machine and I’m just glad that I came across your blog and read about Electrolux Time Manager. Oh my! Electrolux Time Manager is really heaven sent! One machine whom I could consider like a house helper already, minus the maintenance of having one. I love all of its innovations thus making them all my instant favorite. I was amazed by its features it makes the product close to perfection if not “perfect” so to speak. Load Sensor would help me minimize time of washing our laundry, energy and water , Vapour action would make our clothes germ and allergen free, what a way to keep my family safe from germs and impurities, Refresh cycle would save me time from another hated household chore of mine which is ironing clothes because it lessens clothes’ wrinkles, IQ touch would help me program the machine easily, how about that? Leaf Lifter and Lily Drum would contribute to a much cleaner wash, last but certeinly not the least, Time Manager that would allow me to have more time for anything I wish to accomplish for a certein period of time. Congratulations, Mommy Marites Pamela Rose R. Basco! 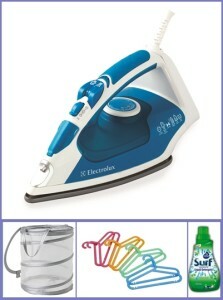 You’re the winner of the Electrolux Laundry Set! Kindly wait for email for the instructions on how to claim your prize.